THE GOOD, THE BAD & THE WORST OF THE WORST: WHAT MAKES A GOOD VILLAIN? What really is a good villain? Well for starters an oxymoron. Okay but really over the years in film there’s been several pretenders and lacklustre performances that the difference between a great villain and a mediocre one are almost becoming non-existent. One example of this is Tom Hiddlestone’s Loki in the MCU. An unpopular opinion surely because to some, Loki has been the only good villain in the MCU. For me though, the search goes on . Something about Loki. Yes he wants all of Asgard to himself and feels cheated out of what he perceives to be a claim to the Throne. In avengers he then commands the chitauri and leads an assault on earth with his mind-controlling staff. Then came Thor 2 when he was expected again to be pivotal but once more he did next to nothing except the opposite of what a protagonist would do. You never really felt in those three movies that Loki would really kill someone or had a much greater scheme that the now weary “take over the world” cliché used by some 60% of villains in mainstream media. Heath Ledger’s Joker has become one of the, if not the main reference point when talking about great villains and why because Chris Nolan and Ledger avoided most mistakes made with villains in film. There was no back story for Joker although he told two very suspicious stories to his victims. Joker was flat out anarchy and like Alfred pointed out very subtly, “some people just want to watch the world burn.” He’s not interested in money, taking over the world or some form of revenge. What Joker mainly did in TDK was to show that even the most well-mannered human being can be brought over to his side of evil with a “little push” just like he did in the Killing Joke and just like that Chris Nolan has avoided repetitive storylines and created one of the best villains of all time. 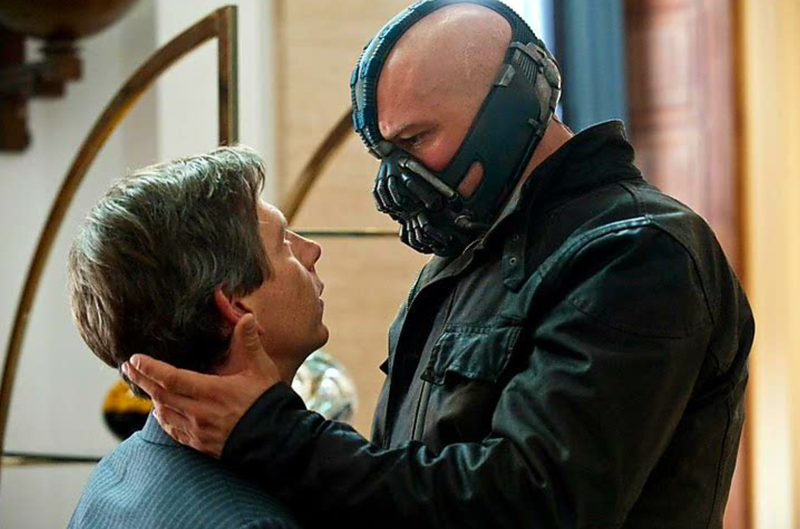 A villain is not in the script just so the hero has someone to face off. His part of it and in some cases a bigger part of the story. Javier Bardem’s Anton Chigurh in 2007’s No Country For Old Men just wanted what was his. He barely speaks in the movie, just walks around with his bespoke captive bolt. The captive bolt is used for killing livestock meaning Chigurh sees humans as animals. The story revolved around him, rarely is this seen. After I saw this movie I had to check if Bardem was nominated for an Oscar. He won it. There are ways to properly write up a villain. Avoid a backstory or include IF absolutely necessary . The first place is where sadly there’s been consistent letdown. All MCU villains have this problem and at this point they attempt no different to Power Rangers villains. Either it’s rushed or just not convincing enough. 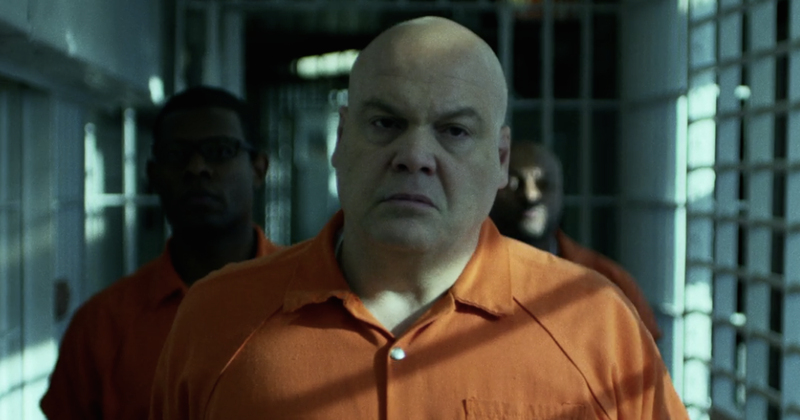 The same thing happened with Diamondback in Netflix’s Luke Cage. He just came out of nowhere and expected us to believe the reason he wants to kill Carl Lucas is because he has daddy issues. Not good enough. Cottonmouth was properly developed and would have been a contender for Marvel’s best onscreen TV villain along with Wilson Fisk and Kilgrave had he not been killed off halfway through the series. John Bernthal needed only two seasons on the walking dead to make the show miss him as a real threat for four more years before the sociopathic Negan came in this season. Personally, I felt he was an anti-hero up until when he wanted to murder Rick and take his family and also when he shot that guy on the leg while getting drugs for Carl because he was slowing him down. Four years on and Rick is almost no different to Shane. I watch his scene from season 2 episode 7 regularly and you can see at the time the contrasting profiles of Rick and Shane. 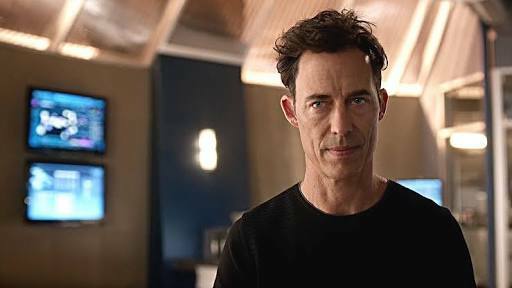 Watch the first season of CW’s The Flash and see Harrison Wells give a definitive example of what a villain should be. He just wants to go home and throughout the first season we see the trouble he goes through just to get back to his time. He doesn’t want to kill anyone, he has no interest in it but would have to if there’s an intrusion. Some would say that’s selfish but look no further than what Barry is doing now two years on. 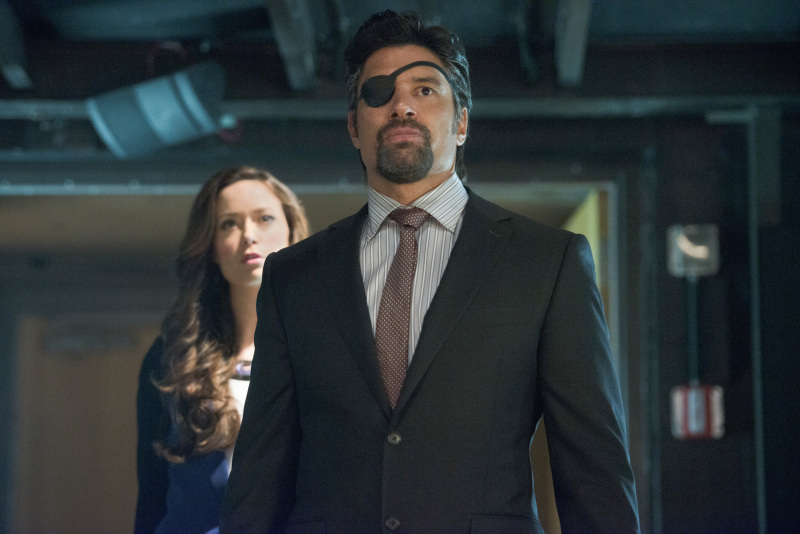 Arrow might have just found THREE compelling villains after two seasons of undercooked antagonists for Oliver to deal with since Manu Bennett’s brilliant Deathstroke storyline rounded up, including Fraud Al Ghul. To be fair to the actors it wasn’t their fault. Just poor writing. I wrote an article previously of how Arrow lost it’s way but it seems to be back on track. The only thing that’s going to ruin two of the three villains (one takes place in the flashback) is a poor reason for being evil. When you talk about a backstory for a villain you either introduce it at the same time you’re introducing the character or don’t just do it at all. If a character you’ve created for the sole purpose of being evil with no reason at all suddenly becomes great, why then go through the stress of creating a backstory for him especially when it feels forced. In this case I’m referring to Mk‘s Scorpion. One of the most recognisable characters in media. Scorpion is far better as this entity with no story to tell. Just pure raw evil. Then they had to go ahead and ruin him with a ridiculous origin. A twist to a villain’s story is a very risky line to thread but if done well can become a great well written story. Bryan Singer directed Kevin Spacey to an Oscar when he played Spoiler Alert Keyser Söze in 1997’s Usual Suspects. You wonder how the same person crafted Apocalypse in this year’s X-Men Apocalypse. The last thirty odd minutes of the Usual Suspects is pure genius. A bad twist is defined as when Zoom on The Flash is actually Jay Garrick the hero but not really because he was never Jay Garrick to begin with and just chose Jay Garrick because it was fun to play two people…..ugh. Great villains are backed up by great convincing stories and also a compelling reason for doing what they do. I watched an anime recently…Mirai Nikki and the girl in that series has to be one of the most compelling all round characters I’ve seen. Villain or not. If I were do a top 10 list of villains she’ll definitely make the cut. Michael Rosenbaum’s Lex on Smallville? Great villain. Believable, compelling and vital to the series. All he wanted was for Clark to be honest with him. Rosenbaum’s Lex is still the greatest portrayal of Lex and that’s saying something given that Kevin Spacey also played him in 2005. 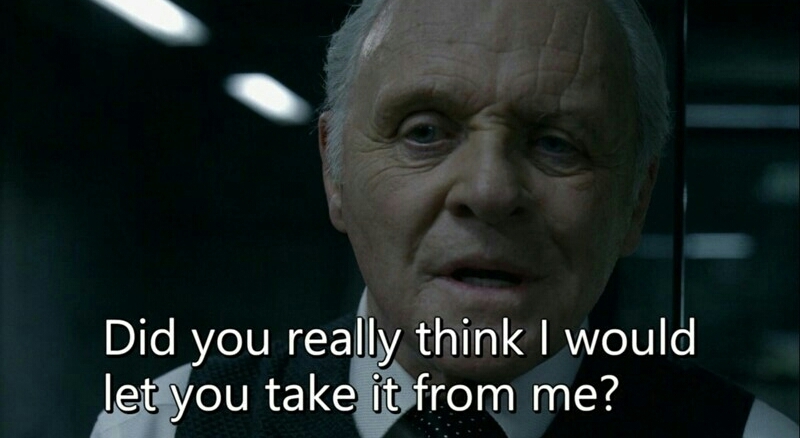 Jonathan Nolan seems to have taken some cues from his brother in the villainous department and created a chilling, soothing character in Robert Ford om WestWorld played by none other than the great Anthony Hopkins. He doesn’t want to rule earth or has some sort of lame revenge but just wants to “tell his stories”. Watch this space for next year’s Emmys. Finally, in a year where a movie consisting of just villains came out, it’s a terrible shame none of them were convincing enough that they can actually cause serious harm than good. Side Note: Q.T is one of the best when it comes to crafting villains. His track record is almost unmatched. I love a well written villain, unfortunately they are few and far between. Probably the biggest issue in modern film though is that so many heroes are pinted in shades of gray it kind of makes it hard for a villain to appear worse and stil lbe a plausible person. They end up caricatures rather than cahracters and that makes it hard to take them seriously or sense any sense of threat from them. Yup. Such a huge problem. If Marvel could get a REALLY great villain in their movies they’d be better than they already are.